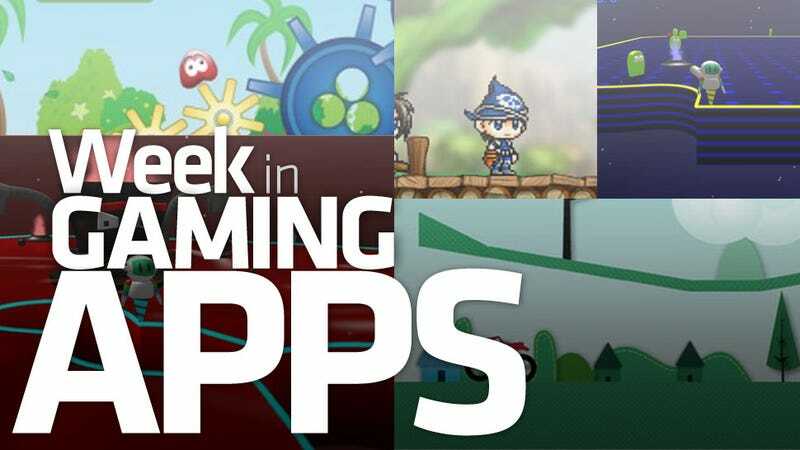 With two of our number serving time covering the world's largest gathering of all things geek and glorious, only four gaming apps made the cut this week. Don't worry, we made up for it in quality! I'm going to stand by that too. I mean, just look at this stellar lineup! We've got a MapleStory game that was released a year ago, which shows we're open to tapping the back catalog; an character-driven 3D homage to an arcade classic; a game that reiterates the fact that no one is really happy with BP as far as oil spills go (their snacks are damn tasty though); and a racing game that lets you build your own tracks and share them with the undeserving masses. See? O0zing with quality. At least I think that's quality. *dips a finger in, tastes it* Yep, that's quality.